Build Complete specializes in kitchens, wardrobes & bathrooms, as well as general renovations such as plastering, ramps & stairs, display units, office desks, benchtops & custom vanities. Using only high-quality products, we are 100% committed to exceeding our customers’ expectations. Build Complete, a company with over 15 years of experience, prides itself on service, quality and craftsmanship, bringing the best to our valued customers. Build Complete specialises in kitchens, wardrobes, bathrooms & decks, as well as general renovations such as plastering, ramps & stairs, display units, office desks, benchtops & custom vanities. Using only high-quality products, we are 100% committed to exceeding our customers’ expectations. Our aim is to renovate and design your space to make sure everything has its place, is functioning efficiently and is practical for your everyday use. By using our 3D design program, we help you visualise your renovation, match colours and stimulate ideas. We provide builders along the North-west Coast of Tasmania with products and supplies; wardrobe shelving and accessories, flat-pack units and ready-made wardrobe units. We machine timber, edge melamine and cut to size. Helping you to save where you can, we offer free quotes. At Build Complete, we cater for all budget ranges, using our different designs and products. There are many types of kitchen professionals in Central Coast, Tasmania – from cabinet makers, to carpenters and interior designers – and many trade professionals offer a full suite of expertise. Depending on the size of your kitchen renovation, and the kitchen designer, they may also hire contractors on your behalf and manage the project from beginning to end. Here are some related professionals and vendors to complement the work of kitchen & bathroom designers: Kitchen & Bathroom Fixtures, Appliances, Tile, Stone & Benchtops, Joinery and Cabinet Makers, Carpenters. 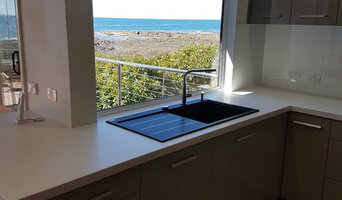 Find a Central Coast, Tasmania kitchen designer on Houzz. Browse the Professional section on Houzz to find kitchen designers in Central Coast, Tasmania. Then, scroll through photos of their latest kitchen renovations and see how their work compares to the scope of your project. You can read reviews to see how other homeowners rate their work, and message them directly to to ask any specific questions.